Columbine, Virginia Tech, Fort Hood Army Base, Aurora Movie Theater, Sandy Hook Elementary, Emanuel AME Church, Pulse Nightclub, Las Vegas Outdoor Concert, and Marjory Stoneman Douglas High School in Parkland Florida—the ever-growing list of active shooter situations in our country is staggering and sobering. 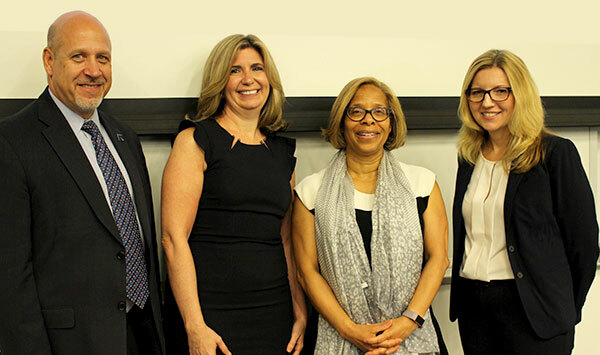 The School Safety Summit held at John Jay on July 16th, co-sponsored by the John Jay College Department of Public Safety and the New York Office of the FBI, brought together some of the country’s leading experts on crisis situations, aiming to empower the John Jay community with information on: behavior indicators, threat assessment, tactical response, first aid, victim assistance, vertical terrorism, crisis management, and media relations. Agent Daly cited the “pathway to violence” in six progressive steps developed by Fein and Fosskuil from the United States Secret Service: 1. Grievance, 2. Ideation, 3. Research & Planning, 4. Preparation, 5. Breach, 6. Attack. “We see that these folks are thinking about a possible attack for years in advance sometimes. So that gives us a lot of opportunities to spot these red-flag behaviors, and report them to the appropriate folks,” she said. In most of the crisis situation cases (81%) people around the active shooter noticed these behaviors, but didn’t report them. “Maybe they didn’t know who to tell. Maybe they didn’t want to seem like a snitch. Maybe they didn’t take it seriously,” Agent Daly said, but she noted that their information can be critically important in preventing a crisis situation. 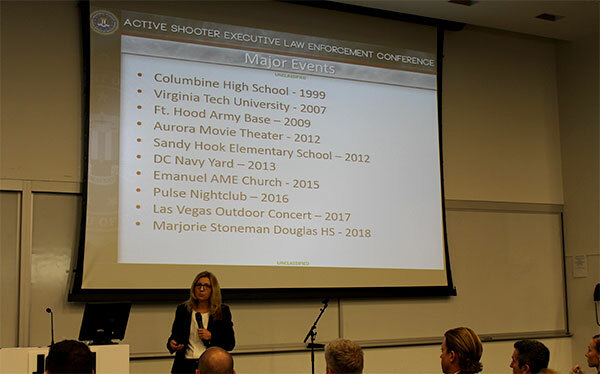 Agent Daly showed the audience many statistics on active shooters—for example 94% of the offenders were male—but cautioned against profile thinking. Instead, she shared certain common signs that occurred before most crisis situations. Looking at many active shooters, Daly presented these indicators: prone to outbursts of anger, behavioral issues, mental health history, and a grievance or loss—which can be a triggering behavior. For more information about Active Shooter Preparedness, click here. For more information about FBI Behavioral Analysis, click here.